The BoBunny Blog: Dreamy Misc Me! 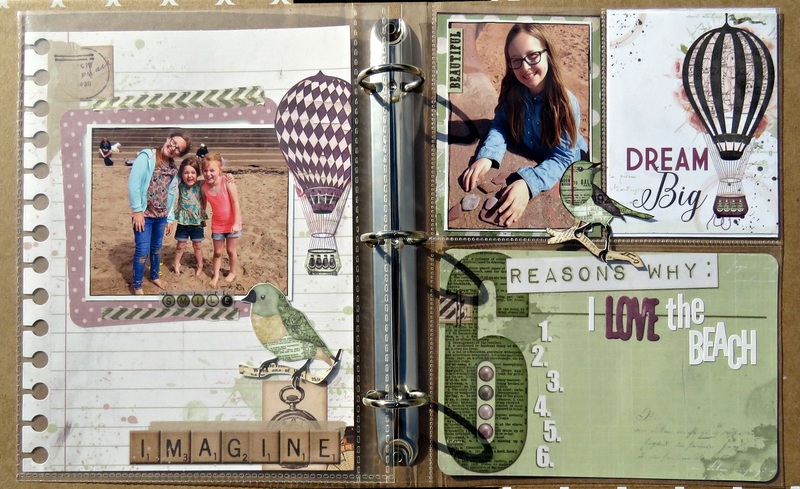 Today I will be sharing with you some Misc Me pages that I created for my Granddaughter's album. I always let her fill her own journaling in as it makes it much more personal for her. I used the Beautiful Dreamer Collection, which certainly lives up to it's name....it's gorgeous! 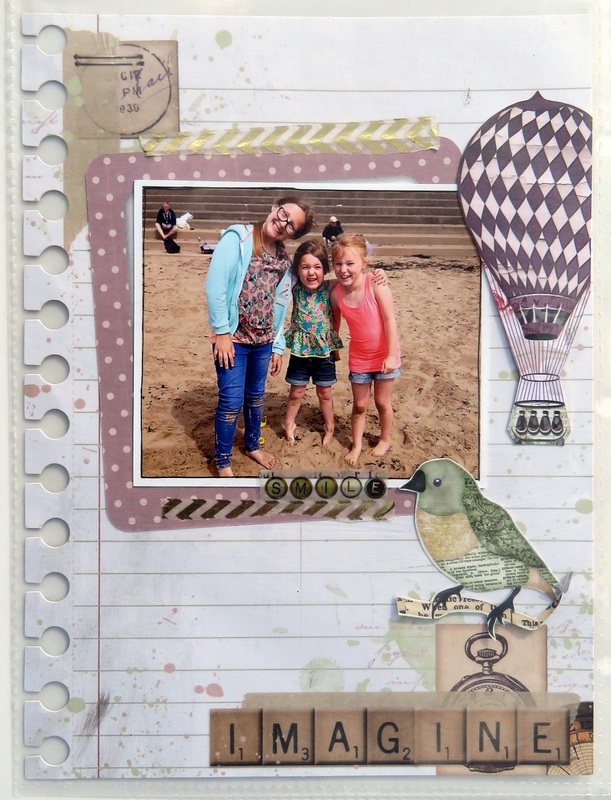 This collection doesn't cry out beach theme but it's easily adapted for any occasion you want. I fussy cut a little bird from one of the papers and placed him on top of the plastic pocket for a 3D look without adding too much dimension. I used one of the large pieces from the Journal Contents Pack, and created a mini scrapbook page. 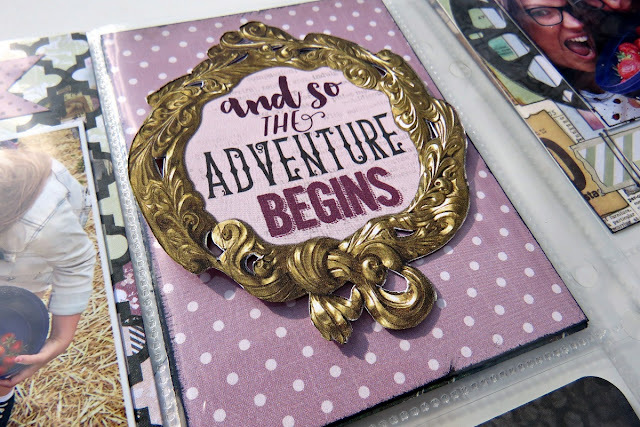 I added a little torn Gold Foil Washi Tape and a coordinating sticker from the new Clear Sticker range. I left a space for Star to write her journaling in, along with her 6 reasons why she loves the beach. 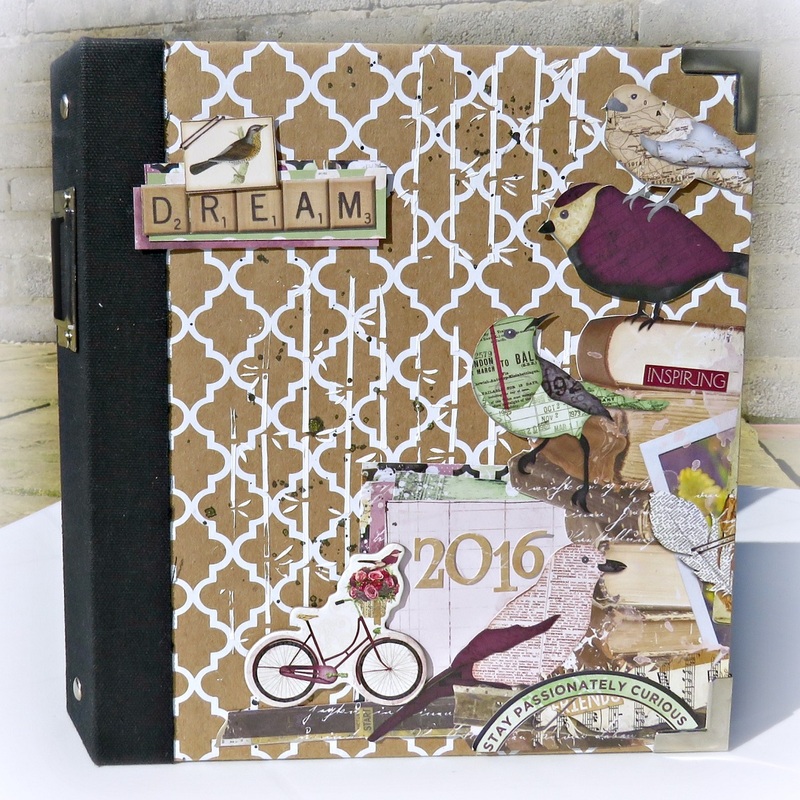 I adore the birds that are printed throughout this collection and I couldn't resist adding them to both of my pages. The tiny one on the left is another Clear Sticker from the pack along with the letters that spell out strawberry picking. I added some die cut viewfinders that I cut from the 6 x 6 Beautiful Dreamer paper pad. As I said I do like to add some of my elements to the top of the plastic pocket. Here I fussy cut the gold frame and adhered it on top, underneath on the polka dot card is a secret message (you could also add another photo here if you wished). I am loving the way this album is turning out and I'm sure I will be back to share some more pages in the future. Lovely album! 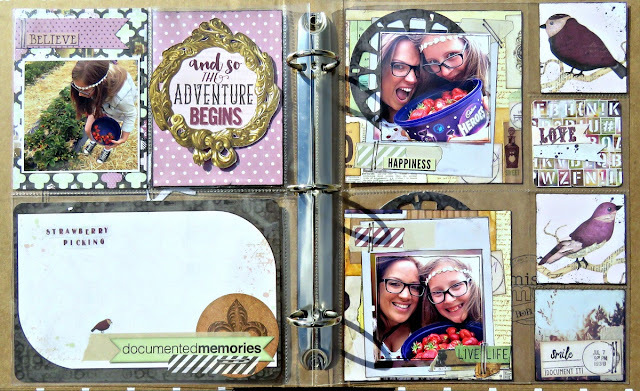 Great idea, having her do her own journaling! I'll have to do that with my granddaughter.